Two busy weeks of membership relations in INBAR! 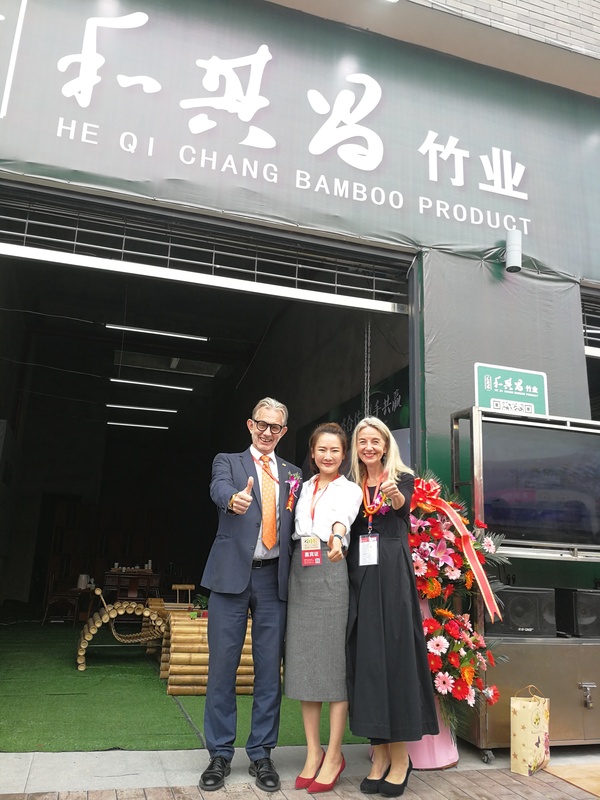 INBAR is an organisation of 44 Governments that believe in bamboo and rattan, and we are constantly in touch with existing member states and potential new members. Let me give you a snapshot of recent and ongoing discussions. I have to admit that these two weeks were exceptionally busy! Earlier this week, we were co-hosting the Caribbean International Bamboo Symposium in Jamaica, together with the Ministry of Industry, Commerce, Agriculture & Fisheries of Jamaica, the Bureau of Standards Jamaica, the Tourism Enhancement Fund of Jamaica, the Bamboo Industry Association of Jamaica, the Jamaica Business Development Corporation and other agencies. The 2-day meeting reflected on “Bamboo: An Economic High-Value Chain Resource for the Caribbean”, and involved members and potential member states in the Caribbean. It was an important gathering that was agreed some time ago, when Jamaica was the Chair of the INBAR Council, but was deferred in view of the Bamboo and Rattan Congress in Beijing in June this year. We sent a large team headed by INBAR Deputy Director-General Prof Lu Wenming and Director of Membership Relations Ms Hao Ying. Apart from participating in and speaking at the conference, several bilateral meetings took place with representatives from several of our member states in the Region, including Suriname. In preparation of the symposium, INBAR Trustee, Ms Sharon Folkes Abrahams visited the Embassy of Jamaica in Beijing, when she attended the meeting of the INBAR Board of Trustees earlier this month. Ms Folkes Abrahams and I met with Ambassador Antonio Hugh and his deputy Head of Mission Ms Cheryl Campbell to talk about planned symposium and general cooperation between INBAR and Jamaica. On the other side of the world, INBAR Member State Cameroon is getting ready to host a team of project staff to launch the Intra-Africa Bamboo Smallholder Livelihood Development Programme, funded by IFAD. INBAR Director of Programme Brian Cohen and future Cameroon Head-of-Office Rene Kaam will be in Yaoundé, together with colleagues from Ethiopia, Ghana and Madagascar to hold the inception workshop and agree on the plans for the coming year. In addition to the inception workshop of the intra-Africa project, the INBAR team will also kick off a Cameroon bamboo sub-project of IUCN’s The Restoration Initiative, and they will informally discuss the date for the official opening of the new INBAR Regional Office for Central Africa. The decision to open the new office was made during the visit of the Cameroon Minister of Foreign Affairs in August this year, when we signed a Memorandum of Understanding. In preparation of the meetings in Yaoundé, I met last week with Cameroon Ambassador to China, HE Martin Mpana. Ambassador Mpana is a dear friend and a strong supporter of INBAR, without whom the developments in Cameroon would not have been so easy. It is always nice to spend some time with Ambassador Mpana, and to talk about future plans. While some staff were in Jamaica and others will be in Cameroon, I joined the Global Science, Technology and Innovation Conference in Brussels to talk about new research and innovation with bamboo. Although we have no members in Europe, we used the meeting to share the latest developments with regards to composite manufacturing and applications of bamboo for the production of drainage pipes, bicycles and housing units. The details will be given by a group of Chinese business people and researchers, and my assistant Li Ting has spent a lot of time to help them prepare for speeches and presentations. They also presented the state-of-the-art production of closed-loop bamboo pulp production for tissue paper manufacturing. This bridging role between China and Europe is an important function for the Secretariat, and I believe this relationship is critical for the future development of INBAR. In early December, I will move to the Climate Change meeting in Poland, where I will touch base with a number of our members that are present. 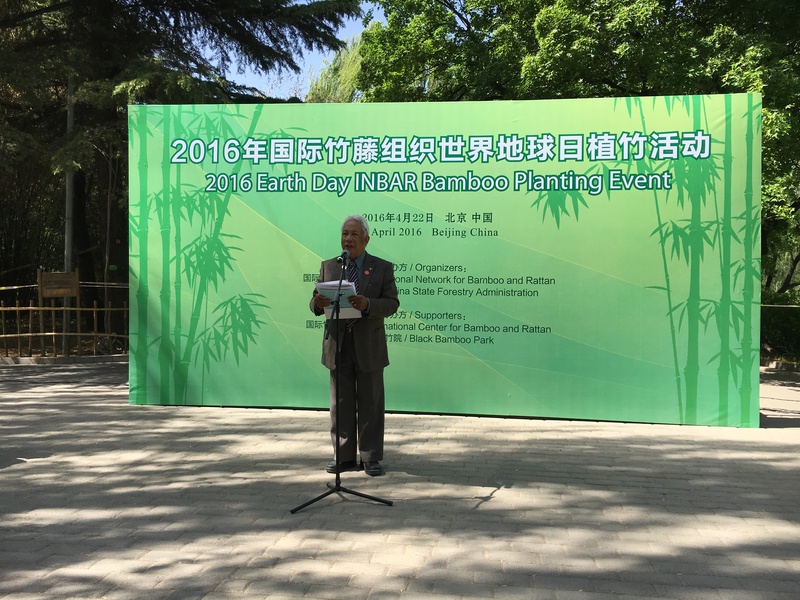 I am speaking in several events, and INBAR is organising a discussion about bamboo, climate change and South-South Cooperation with speakers from Canada, China, Ethiopia and Nepal. Apart from these speaking roles, I will undoubtedly have bilateral discussions with a number of ministers and other representatives. Talking about South-South Cooperation, INBAR Global Policy Officer Borja de la Pena and INBAR Trustee Ms Jan McAlpine are currently in UN Headquarters in New York to speak at the Global South-South Development Forum and to discuss INBAR’s participation next year in the Buenos Aires Plan of Action 40th celebration. Borja is also arranging meetings with delegates from several INBAR members. Meanwhile, the INBAR Headquarters is preparing for a possible visit of the First Lady of Ecuador in December. This visit would be extremely opportune, as the Ministry of Housing in Ecuador has just approved the design of a bamboo-bahareque house for a new national social housing programme “Casa para Todos” (housing for all). This social housing programme is one of the 7 components of the Inter-institutional Committee of the “Plan Toda una Vida” that is chaired by the first lady of Ecuador. “Bahareque” is a traditional construction style based on a wooden or bamboo frame that has provided shelter for rural communities in Latin American culture. This little known tradition is getting a new lease of life from the Ministry of Housing with a new modernised style. Supported by INBAR as part of our Bamboo Aruaclima Project in Peru and Ecuador financed by the Spanish development agency AECID, the ministry has approved the use of a cement bamboo-bahareque prototype. INBAR, local government and university partners will finish construction of the first unit in December 2018. The house, the first of its type ever built by the Ecuadorian government, has an area of 56.95m2. It cost the government just $12,500 to build, uses entirely bamboo poles for its frame, and under the government Housing plan ‘Housing for All’, it will now be scaled up for mass construction. Alongside construction work, INBAR is supporting research into the thermal properties and carbon footprint of this type of house, allowing us to compare it with other construction methods. Another bamboo construction success story focuses on the Philippines, where last week 23-year old Earl Patrick Forlales has been awarded the £50,000 “Cities for our Future” Prize by the Royal Institute for Chartered Surveyors (RICS) in the UK. Forlales’ idea, inspired by his grandparents’ bamboo shack, is to transform the slums of Manila into a livable space using the most sustainable, abundant material possible – bamboo! The outcome, named the Cubo, is a modular design made from bamboo panels that could be constructed in a week and assembled in just under four hours. The Cubo is estimated to cost just $77 per square metre – an incredibly affordable living space. When we contacted Earl Patrick Forlales he explained that he used INBAR publications in the preparation of the design. We are very proud of his achievement, which has been recognised by international news outlets all over the world, and for bringing the benefits of bamboo as a sustainable, affordable building material to the Global South. We are also actively engaging potential new members. Last week, I gave a lecture at the Peking University Public Policy Forum, which addressed how bamboo and rattan can help countries to achieve their sustainable development goals. More than 60 students attended from a wide range of countries, including several INBAR Member States. I invited the Ambassador of Costa Rica to China, as she is keen to promote Costa Rica as the next Member of INBAR. She wanted to know more about bamboo opportunities, and told me that she learned a lot from my presentation. The discussions after my talk were rich and lasted for nearly one hour. We could have continued, but unfortunately the working day was ending. We touched on issues like the consumer’s demand for production standards, the need for a reliable supply chain, the choice between planting food crops and bamboo, the challenges of invasiveness of running bamboo and flowering of clumping bamboo and more. Last week, I also met with the Ambassador of Timor Leste, HE Bendito dos Santos Freitas. Timor Leste is currently Observer of INBAR, after they formally approached us to become Member in 2016. Subsequent elections and budget negotiations have created confusion and uncertainty, and we are concerned that the Observer status may lapse before we receive the formal Instrument of Accession that would make Timor Leste a formal Member of INBAR. Ambassador dos Santos Freitas advised us to write to the new Speaker of Parliament and the new Minister of Agriculture to find out what the current state of affairs is, and how to proceed. Earlier this week, I met the Ambassador of the Republic of Congo to China, HE Daniel Owasa. A few months ago, I had the opportunity to greet the President of the Republic of Congo HE Sassou Nguesso when he was visiting for the Africa-China Forum (FOCAC), and he suggested that the Ambassador has a more substantive meeting. Ambassador Owasa and I talked for an hour about the benefits of bamboo and rattan, and the possibility of Congo joining INBAR. This gives an idea of the membership work of INBAR during a very busy period. In December 2017, INBAR was officially confirmed as Observer to the United Nations General Assembly (UNGA). The Assembly normally meets in September, and I attended the High-Level segment of UNGA for the first time from 24 to 30 September 2018. Being at UNGA is a privilege, and being Head of Delegation means that I had access to all places in the UN Secretariat building without having to go through security checks. INBAR has its own seat at the back of the main hall where the General Debate takes place. The General Debate is effectively a list of speeches from Heads of State or the Minister of Foreign Affairs. All countries have the opportunity to speak, and although they are supposed to stick to 15 minutes, many take more time to deliver their message. The session goes on till late in the evening. The speeches are very political, and are used to highlight main issues of concern. For example, Cuba complained about the US Embargo, IRAN stressed the need to re-instate the nuclear agreement, Colombia expressed concern about refugees from Venezuela. President Trump spoke and stressed unilateralism and patriotism as the hallmarks of current American Foreign Policy. Simply being at UNGA, classifies INBAR as a world player, and I strongly believe that it is worth-while attending the General Debate. Several people we met made the point that UNGA is amazing networking opportunity, and my assistant Ms Li Ting managed to set up a number of important bilateral meetings. Maria Fernanda Espinosa, Foreign Minister of Ecuador is the elected President of UNGA 73. I know her from my IUCN days, as she was Regional Director for Latin America for a few years. 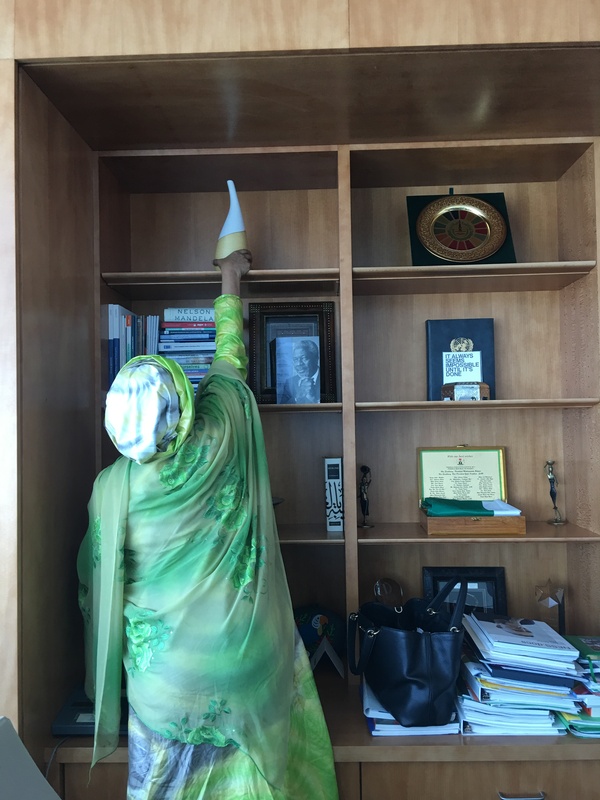 We tried to arrange a formal meeting in New York, but as President of UNGA, her schedule was so full that her office did not see a window for a proper discussion. Fortunately, I had the opportunity to greet Maria Fernanda in the corridor during one of the days, and she recognized me. She confirmed that she was aware of INBAR and the Ecuador Presidency of the Council, our Regional Office in Quito and about the discussions we are having with Ambassador Larrea in Beijing. Jorge Chediek, Director of the Office for South-South Cooperation and Special Envoy of the Secretary General for South-South Cooperation has his office across the street from the UN Secretariat. Jorge and I launched a joint INBAR-UNOSSC report during the South-South EXPO last year in Turkey, and I was very happy to see that the cover of the book is framed on the wall of the office. In November this year, UNOSSC will organise the South-South Expo in New York. It will be smaller than the last EXPO in Turkey, and Trustee Jan McAlpine will represent INBAR. We discussed the meeting to celebrate the 40th anniversary of the Buenos Aires Plan of Action (BAPA +40) that will take place in Buenos Aires, Argentina in March next year. 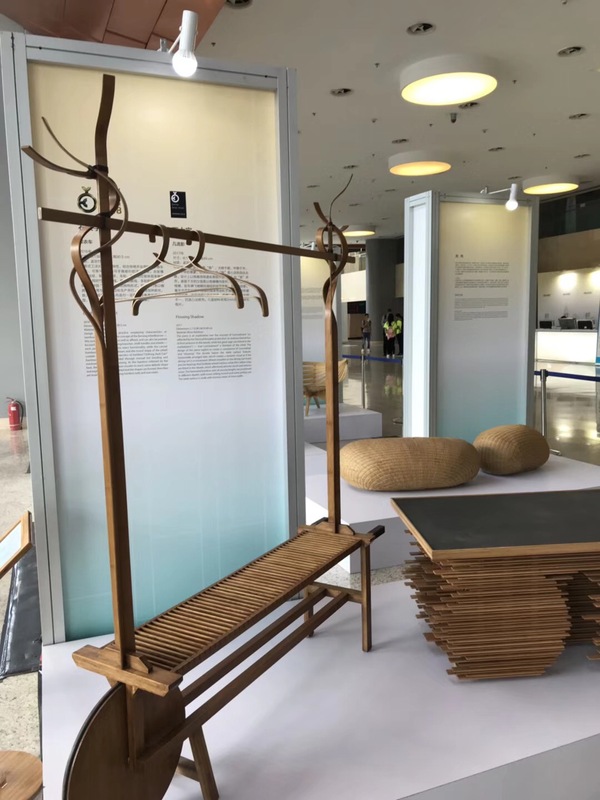 INBAR will be offered space for a bamboo/rattan exhibition and we may organise a joint side event for bamboo and rattan for south-south in practice. In December this year, UNFCCC COP24 will take place in Poland, and we talked about organising a joint event in the China Pavilion at COP24. Finally, Jorge asked if we could help to secure furniture for his office or for a new meeting room, as a means to showcase bamboo furniture in the UN Headquarters. I explained that INBAR has several Chinese Strategic Partners, and they may be interested to promote their products, provided the UN makes publicity about their products. I will follow up when I am back in Beijing. I also had meetings with Liu Zhenmin, UN Under-Secretary-General, Department of Economic and Social Affairs (DESA), and with Zhu Juwang, Director for Sustainable Development in DESA and acting Director of United Nations Forum on Forests. I think that Liu Zhenmin is the most senior Chinese in the UN Secretariat. I thanked Mr Liu for his help in our getting the UN Observer status and he expressed the hope that our being in New York for UNGA is useful. He stressed that UNGA as a major networking exercise, being part of UNGA is politically and strategically important. He referred me to Juwang for discussions about cooperation. Juwang is relatively new in the job, and we had a very constructive discussion. He labelled himself as an ambassador for bamboo in New York and a friend of INBAR. 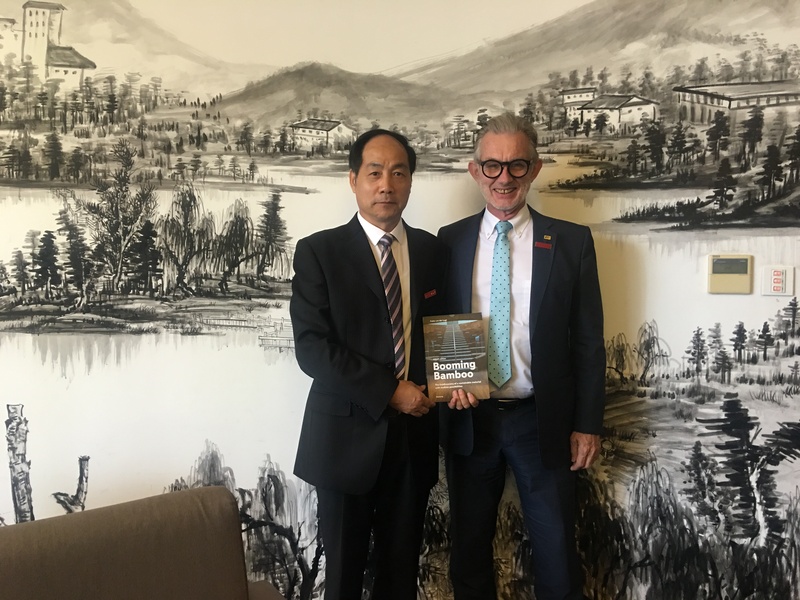 Juwang proposed that INBAR and DESA sign a MoU to agree on cooperation in a number of areas, including his offer for INBAR to use his offices during future visits to New York, so that we have a base from where to operate. The Embassy of Togo in Beijing had put Li Ting in contact with the entourage of President Faure Gnassingbé of Togo. He spoke at the UN General Assembly, and agreed that we could have a brief meeting to talk about bamboo and rattan in Togo. We had a very friendly, casual discussion in the corridor of the main hall. 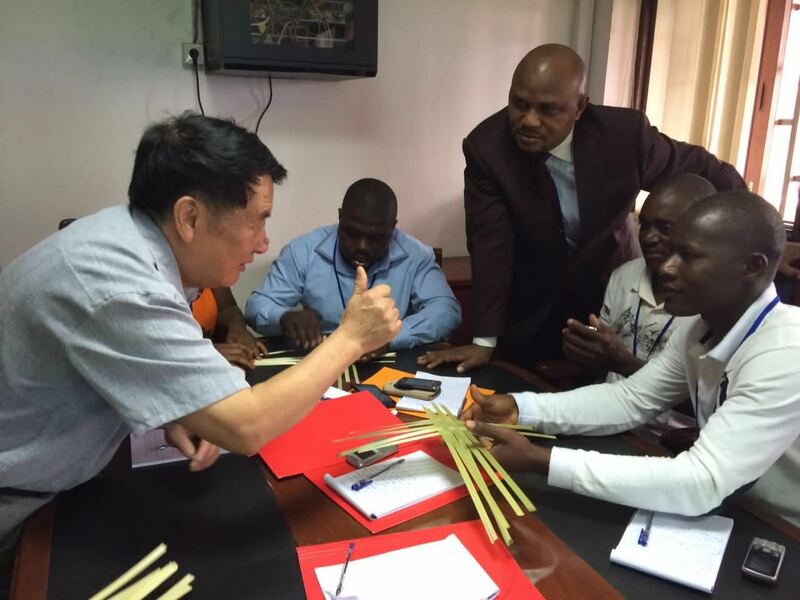 The President is aware of our office in Kumasi and he is keen to develop both bamboo and rattan in the country. We talked about the challenges of not having enough skilled labour and I explained that we can organise training for local staff. We discussed the way in which this could be done, and he asked me to follow up with his office. I explained that INBAR has launched the Global Assessment of Bamboo and Rattan (GABAR) and President Gnassingbé is keen for us to carry out an assessment in Togo. 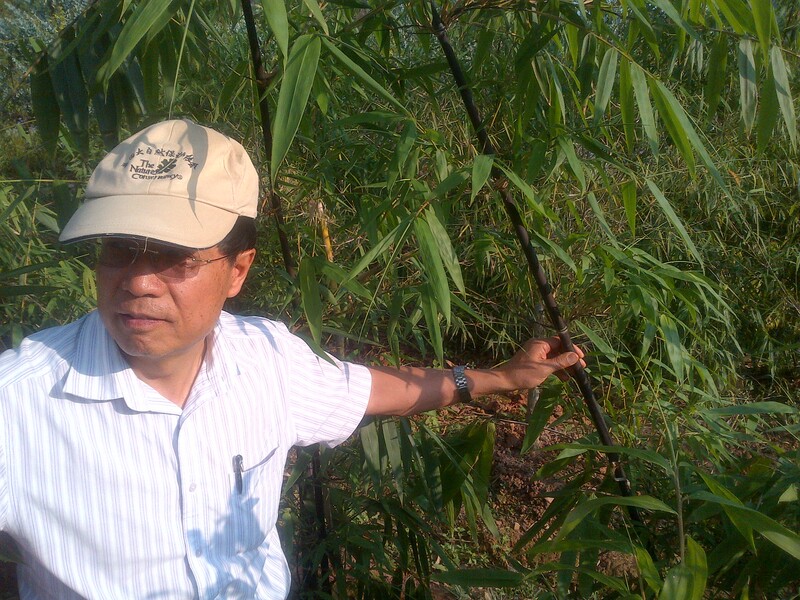 He mentioned that most bamboos in Togo are rather thin, and therefore may not be suitable for construction or flooring. We agreed that we need to find out more about this. I also explained that household energy from bamboo is another potential development path, and he was not aware of this. He agreed that this could be very important. The INBAR seat at UNGA is in the back of the main hall, together with other Observers, and behind us is the seat of the Pacific Island Development Forum (PIDF). Secretary-General Francois Martel was there, together with his communications officer. 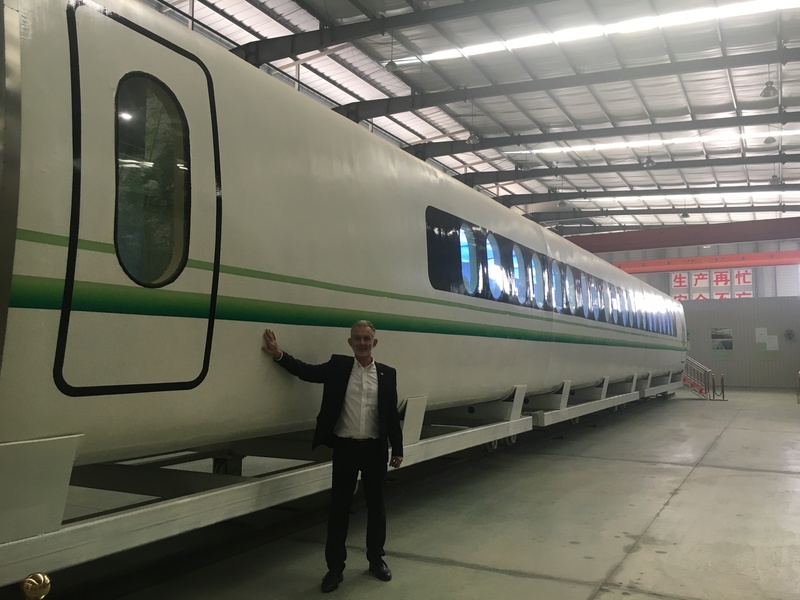 I first met Francois last year during the Belt and Road Initiative launch meeting in Beijing, and Francois took part in the INBAR Congress BARC 2018 in June this year. We spent some time in the delegates lounge to talk about future cooperation. 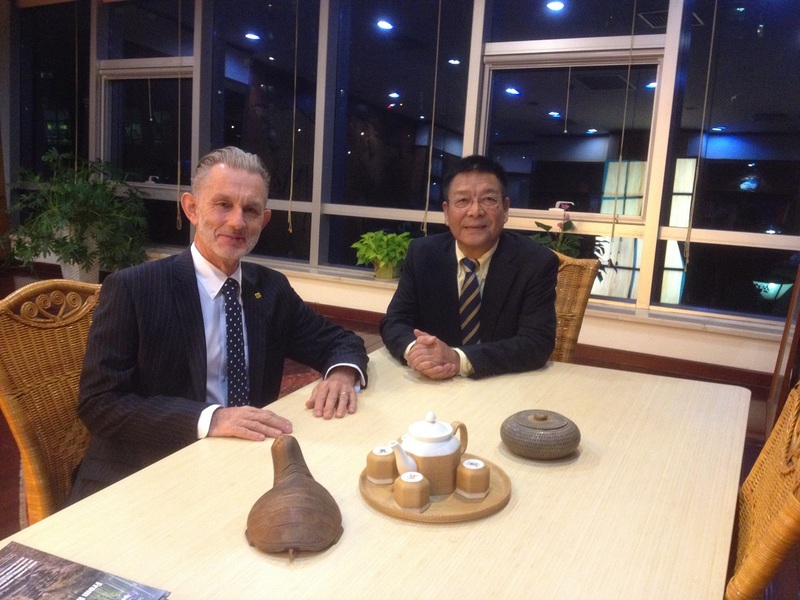 Francois told me that PIDF has prepared a proposal for the establishment of a regional bamboo training centre in Fiji, and he has discussed this informally with the Embassy of China in Fiji. A recent workshop reviewed the proposal, and a report about the workshop will shortly be published. I knew about the workshop, and had sent a video message, and the workshop report is co-branded with IBAR logo. The proposal will formally be submitted by PIDF to the Chinese Embassy in Fiji in the coming weeks, and if it is successful, INBAR will have an advisor in Fiji, as we are written into the programme. Francois also briefed me about the side event that PIDF will be organising during the climate meeting in Poland in December this year. He is working with the organisers of the Fiji pavilion of COP24, and he invited INBAR to participate. As we will be there anyway, I agreed that we will join PIDF. One of the evenings, I had a very nice dinner with Achim Steiner and his wife Liz, and we talked about the role of bamboo and rattan for sustainable development, and the impediments to create upscale efforts. 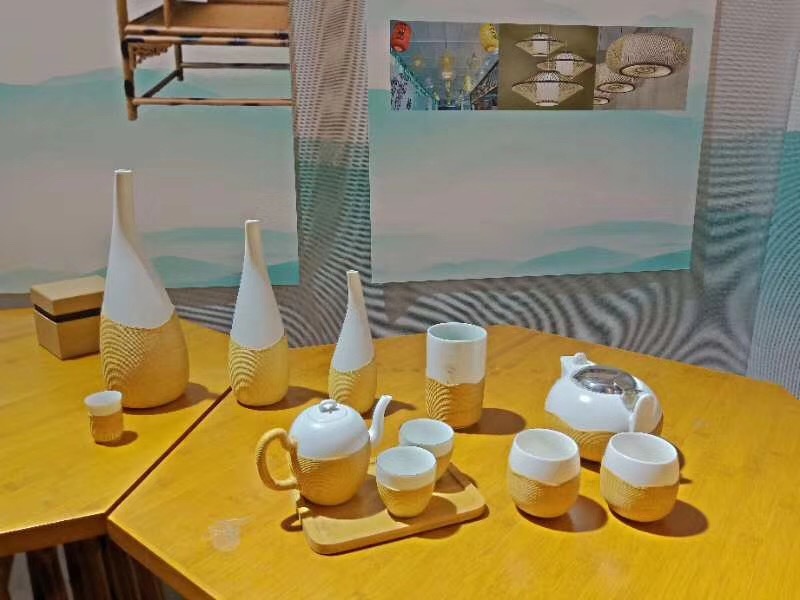 We agreed that the main constraint may be the relatively high price of bamboo products compared to plastic and soft wood. This is difficult to address in a short time period, but with increasing global recognition of the dangers of plastic pollution, and a few successful case studies of bamboo production, the tide will turn. Inter Press Service (IPS) is a global news agency. Its main focus is the production of news and analysis about events and processes affecting economic, social and political development. The agency largely covers news on the Global South, civil society, and globalization. IPS has written one or two stories for INBAR during the 20th Anniversary and BARC, and prepared a proposal for cooperation with INBAR, but we have not yet decided how to proceed. Farhana Haque Rahman, the Director General of IPS was at UNGA, and she proposed that we aim at producing a few strategic stories, linked to some of the upcoming events where INBAR will be present. 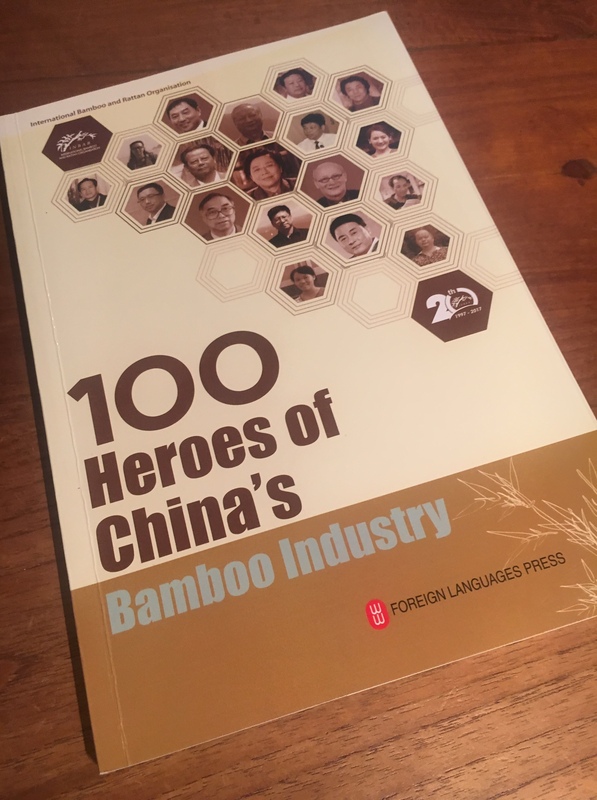 To smooth the way, she offered for IPS to prepare two features related to bamboo based on interviews with INBAR DG and quotes from Chinese authorities especially. 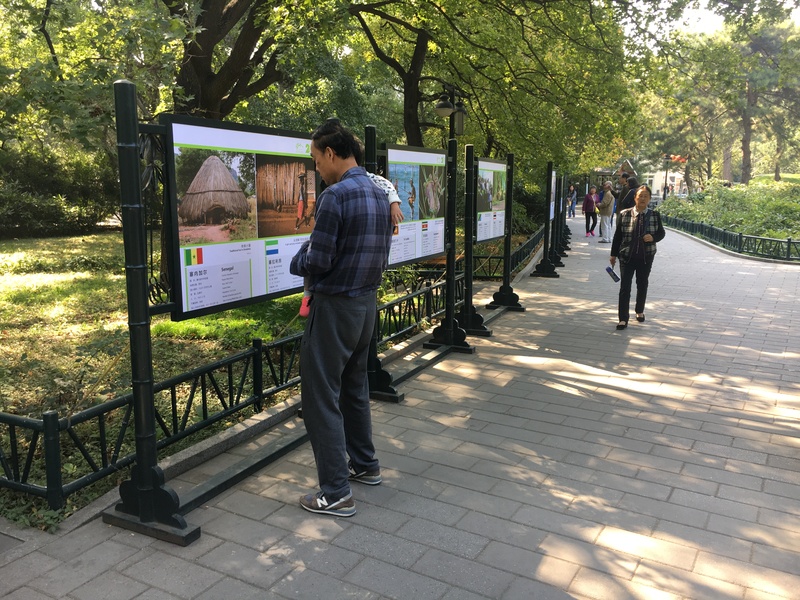 One story could focus on innovation, in advance of G-STIC and the other one on Madagascar and Cameroon to be targeted for issuance before the November event at COP24 in the China Pavilion. During the June Bamboo and Rattan Congress, I had a meeting with the delegation from Nepal, headed by the Minister for Environment. Following this discussion, the Embassy of Nepal in Beijing informed u that the Foreign Minister of Nepal, HE Pradeep Kumar Gyawali, wanted to make contact during UNGA. I met Minister Gyawali in the Permanent Mission of Nepal to the UN, and talked about the opportunities that bamboo provides for Nepal. Minister Gyawali is keen for something to happen, as he sees the opportunities, and he knows that Nepal could do more. I talked about the construction opportunities for classrooms and learning centres, and he was happy to hear this, but stressed that Nepal is no longer looking for emergency response, but for long-term solutions. He is very keen to carry out an assessment, as he claims there is bamboo everywhere, but they don’t know how much and what to do with it. In 2016, I met HE Amina Mohammed when she was Minister for Environment in Nigeria. UN Secretary-General Antonio Gutierrez has subsequently appointed her as UN Deputy Secretary General (DSG), and we tried to set up an appointment in advance of our trip to New York. After a lot of effort, we managed to arrange a meeting on the last day. When we finally met, DSG turned out to be very interested in what we are doing. DSG and I talked about bamboo in West Africa, and whether it could be incorporated in the Green Wall of Africa. I explained that bamboo will not thrive in the Sahel, but south of the real desert there are opportunities. Natural bamboo occurs in the south of all countries along the coast of West Africa. DSG thought this is an opportunity to consider. DSG told me that the Climate Summit next year will be a watershed moment, and the Secretary-General himself is pushing for this. They are looking for action, and she offered for INBAR to be part of the event, which will take pace during UNGA next year. She stressed that they only want organisations that will deliver and are ready to put efforts into this. She asked me to write to her with ideas and she will put me in contact to the Head of the Climate Team. DSG also talked about the Horn of Africa, and she explained that Secretary-General Gutierrez will travel to Ethiopia, Eritrea, Djibouti and Somalia in early 2019. She asked if bamboo will grow there, and I explained that Ethiopia and Eritrea are INBAR members. She asked me to send more information about resources and value chains. I had brought a nice present in the form of a vase with very fine bamboo weaving, produced by one of the master weavers in Meishan. DSG was impressed and immediately found a place for it on her shelf. She took away the vase that was there, and replaced it with the bamboo creation. My last meeting in New York was very strategic, as we had recently received notice from the authorities in Paramaribo that Suriname was not happy with its INBAR membership. During the UNGA General Debate speech of Suriname Foreign Minister HE Yldiz Pollack-Beighle, she mentioned that Suriname wants to introduce sustainable forest management practices, but they are looking for help. She also stressed that they want to avoid further forest degradation. I believe that bamboo could play a role in this, and I therefore went to meet her after the speech. She was aware of INBAR, and was very happy that I reached out. She introduced me to Kitty Sweeb, who is both Deputy Permanent Representative of Suriname to the UN and Deputy Foreign Policy Coordinator in the Office of the President, and we agreed to meet later in the day at the office of the Mission. Ms. Sweeb explained that with the change of Government a few years ago, the contacts with INBAR were lost, and the current Government is asking what the benefit is of remaining with INBAR. I explained that we could provide support, if we knew who to talk with. I promised to try and find a solution for the outstanding membership dues payments, and Ms. Sweeb will discuss with her Minister and others who would be the best liaison for INBAR. We also talked about the next steps in Suriname, and Ms. Sweeb agreed that a national consultation meeting would be extremely useful, to get everybody on board. When I explained that I could give a speech in Dutch she became excited, as many people in Suriname are more comfortable speaking Dutch. We parted with big smiles, and Ms. Sweeb thanked me for trying to find a solution to the issues. 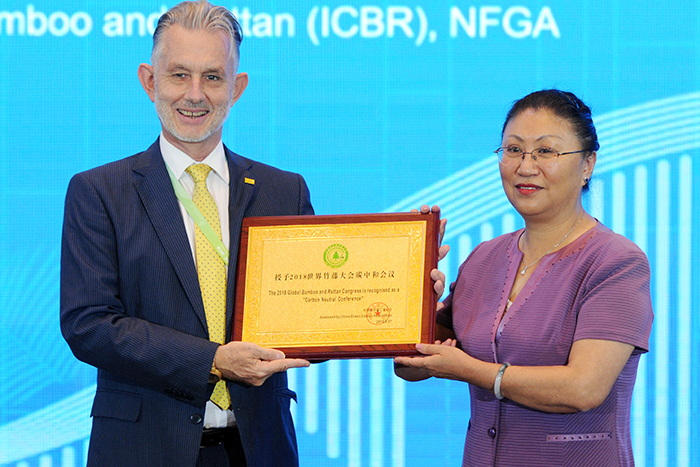 It was a busy week, but very productive, and we managed to position bamboo and rattan on the global stage.